Be grateful carved wood sign, we think the best place for this is the laundry room (hah!) but an important reminder that works in any room of the house. 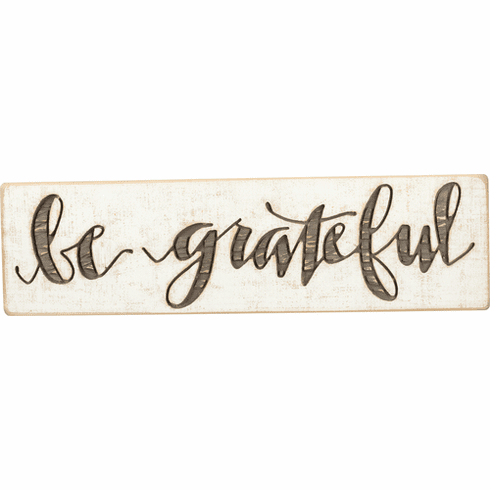 Distressed wooden sign lending 1/4" deep carved "Be Grateful" hand lettered sentiment. Includes sawtooth hangers for easy hanging or can free-stand alone.